"Baked French toast with apples and caramel sauce. The consistency of the finished recipe will be similar to bread pudding! A glass baking pan will help prevent the toast from sticking." 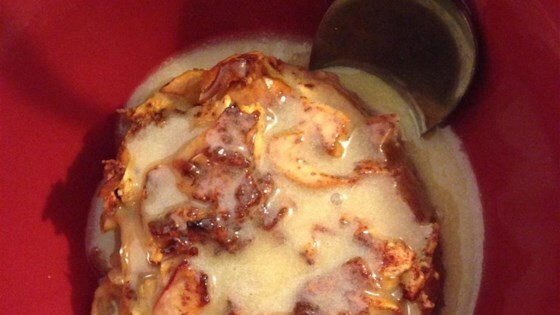 This baked French toast casserole is so tasty, and easy to assemble. Not too good, I'm afraid. Nothing like French Toast. This was one of the "best" recipes I have ever made. It was a sure hit at a family breakfast get together. This was so good. The sauce was very tasty. I would just make the sauce and serve it over ice cream. I made this Hawaiian Bread II, and it was a good choice. I love this recipe and have used it to feed 50 people. They love it. It's easy and the syrup is divine!